Home » News and Announcements » Thanks for attending the Orinda Car Show! Thanks for attending the Orinda Car Show! The 13th annual Orinda Car Show is now history, with lots of fond memories of a day with beautiful cars and the folks who proudly own them. All the great photographs from the Friday Party and the Saturday Car Show are now available for your viewing pleasure. See them here. Thanks for attending and showing your support. We’ll see you again, next year. 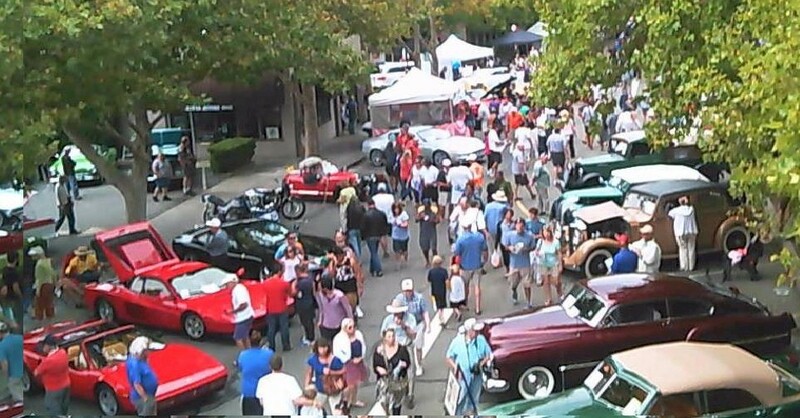 On Saturday, September 7th from 10 a.m. – 3 p.m., the town of Orinda, CA will host the 15th Annual Classic Car Show. This free event continues to delight car fans of all ages and benefits the “Seniors Around Town” transportation service, an Orinda Association program, The Educational Foundation of Orinda (EFO) and other fine causes. 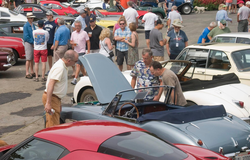 Friday – Sept. 6th – 5:30 p.m. Come party with the cars in Orinda! This is always a great event. It’s the Festive 2019 Party the night before the Car Show! More details about this 2019 event will follow. Click here to learn more! Click the "Like" button below to like us on Facebook. It's just like friending the Orinda Car Show, and will ensure you're up to date with the latest information as we plan for next year. Visit our photo gallery and view the photos to get a feel of the fun and excitement at the Car Show and the Party.